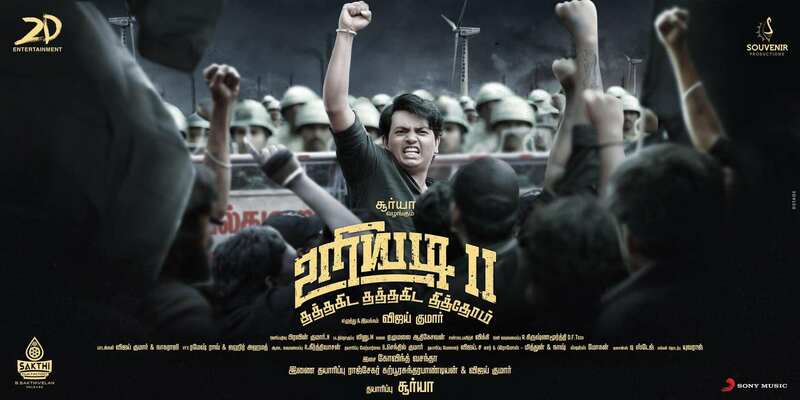 Uriyadi 2 is a film that yet again drives home the point that the most important factor for a film to be successful is the story it looks to narrate. The film by and large has only newcomers but yet manages to keep you interested from start to finish, thanks to its meaningful plot and its exciting and taut screenplay. To its credit, the film presents not just an entertaining story but also looks to create an awareness on some of the ongoing issues in the state and the country. The story begins with Raj Prakash, a greedy businessman based out of the UK, starting a hazardous pesticide manufacturing unit in a rural part of the state with the sole intention of doubling his profits. He chooses to start the unit here after being denied permission to start the same in foreign countries as the product he is looking to produce can prove to be a disaster to the environment. A corrupt system filled with greedy government officials here helps Raj set up the factory without any hassles whatsoever. Meanwhile, three youngsters, who have limited English-speaking abilities and who have no idea as to why they are studying engineering in the first place, graduate with poor skill sets. Understandably, the three youngsters can’t find a decent job and are in a desperate situation. It is at this time that an opportunity presents itself in the form of engineering positions in this pesticide manufacturing unit that is owned by the greedy Raj. Hailing from the same village where the firm has been set up, they invariably end up working there for a pittance. Intially, life seems fine. But then, disaster strikes and one of the three young engineers dies in a freak accident at the plant. 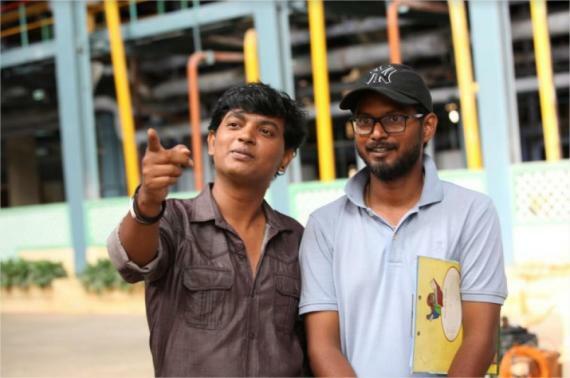 Initially, nobody suspects anything but then soon, the two young engineers including Vijay Kumar (played by director Lenin Vijay), realise that the product that the firm is manufacturing is a hazardous chemical that has been banned in other countries. They also understand the threat that the plant poses to all the neighbouring villages and to the eco-system. More importantly, they find out that the plant does not even have any safety measures in place as stipulated by law. The boys find out that the safety equipment in the plant are faulty and have not been replaced. This, despite the owner being fully aware that the plant could emit poisonous gases such as Methyl Iso Cyanide (MIC) , which could kill and maim all living things in the surrounding areas. While the boys stumble upon this fact, the owner of the plant Raj continues to look to make as much money as possible. At one point, he realizes that there is more money in digging minerals and chooses to set up a copper plant. But until the time he can set up the copper plant with help from his politician friends, he has to keep this plant operational to keep his profits soaring. He decides to step up operations and at one point, the inevitable happens. A plant with worn out and faulty equipment gives way and results in the leakage of the deadly Methyl Iso Cyanide. The leak kills hundreds and maims others. What the boys do then is what the film is all about. The film beautifully brings out how different groups like NRI businessmen, National parties, small-caste based regional parties, government officials and police officers all exploit the situation to their benefit, unmindful of the risk it poses to the public. It also highlights the dismal state of the present-day education system, which provides degrees to our youth but which does not equip them for the challenges at the work place. It showcases beautifully how corporates sack qualified people to hire in their place trainees, who are paid just one third or one fourth of what they should ideally be paid. It shows how politicians are unscrupulous and look to use the misfortune of others to make money. The film is bold and does not flinch from telling what it was made to say. Just for this, the film and its makers need to get a round of applause. Not just that. The film’s director, Lenin Vijay, who also has played the lead in the film, excels yet again. At such a young age, handling just one responsibility can be daunting. To have acted in the lead character and yet directed the film is something herculean and for this, he deserves another round of applause. Most actors, despite being relatively new deliver in this film. 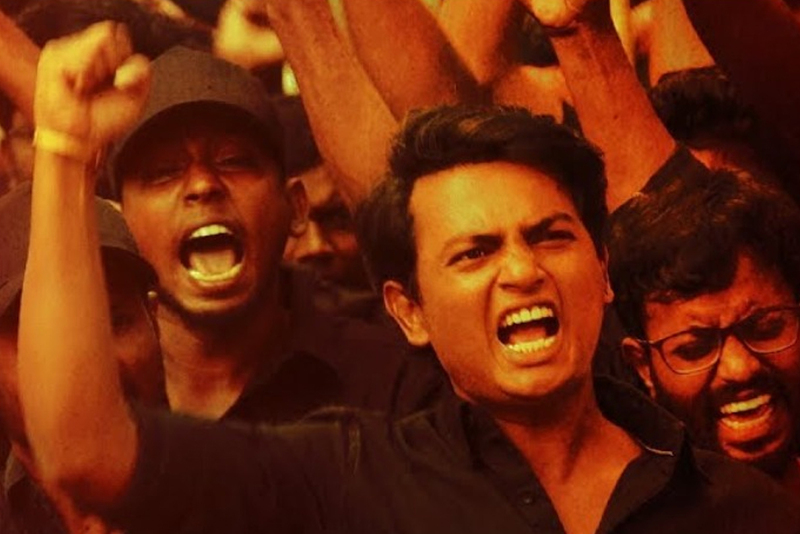 In short, Uriyadi 2 is a bold story that’s been told in a fairly gripping manner and for this, it needs all the support it can find! Go, watch it!